Flow influenced materials degradation is encountered in many fields of our daily and technical experience, starting from rivers carving themselves into rock formations and finishing with severe wall thinning in metal pipes and pumps of industrial plants. Understanding the flow and materials related basic steps of initiation and continuation of such degradation processes has been subject of many research efforts in the last decades. This was often prompted by severe failures resulting in high financial losses and sometimes even fatalities. However, even today after all this work done so far in this field there is still a debate about how to describe the interactions between materials and flowing media in a proper and predictive way. It starts with the definition of terms used to classify different reasons for flow influenced materials attack: cavitation, erosion, corrosion, flow accelerated corrosion, etc. and combinations thereof. Worldwide, national and international standards give different definitions based on different views of the main influencing parameters. This book starts with the intention not to add to this Babylonian confusion but to explain step by step the different phenomena and contribute to the understanding rather than verifying definitions of terms. This is one of the big merits of this book. The reader is firstly taken on an interesting travel through the historical approaches of research in cavitation, erosion and erosion corrosion which for many decades was significantly influenced by the author’s excellent and innovative work in this field. The somewhat narrative style in which the chapters are written keep the reader fascinated and eager to learn more about the experimental evidences for later conclusions. 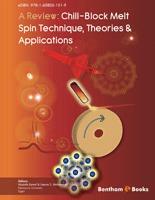 Many of the intelligent experimental devices and protocols for studying flow influenced materials degradation, presented and explained throughout the book, have been developed in the author’s research group over the years. I am proud to say at this place that they also inspired me some 20 years ago when I had the pleasure to meet Prof. Masanobu Matsumura in Germany. The exciting discussions we had at that time prompted us to design and produce jet impingement devices to study erosion corrosion phenomena electrochemically with jet impinged microelectrodes resulting in our “freak event” energy density theory for erosion corrosion initiation. 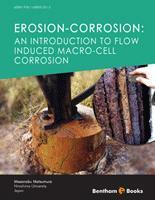 The book is an excellent summary of the great and path breaking research achievements of the author and his research group in the complex field of erosion corrosion and can only be warmly recommended for everyone who wants to understand the effect of influencing parameters in cavitation and erosion corrosion, alone and in combination with each other. It is an outstanding source of information for those who want to learn about erosion corrosion testing methods. Case studies underline and backup the technical importance of flow influenced corrosion in its various localized and wall thinning appearance and its threat for failures in industrial plants. The book fills a gap that has been open for too long time. Erosion-corrosion is a generic name for the degradation phenomenon that occurs in chemical plants, in which metallic materials are exposed to various flowing liquids. For example, erosion-corrosion occurs within heat-transfer pipes made of copper-based alloys that are used in seawater heat exchangers. Moreover, it also takes place within both casings of seawater pumps made of gray cast iron and carbon steel pipes that transport pure water at high temperature and pressure, etc. Erosion-corrosion was the likely cause of a serious accident in the United States in 1986 that killed four workers at Surry nuclear power plant located in the state of Virginia. A half century ago, in 1962, the author was a freshman of the master course of Tokyo Institute of Technology. His supervisor was Professor Yoshitada Suezawa who belonged to the department of chemical engineering. He instructed the students that the mechanical engineers in the field might be disposed to classify the erosion-corrosion in corrosion, but the chemical engineers classify it into erosion, so the boundary region of erosion and corrosion must be the underdevelopment region to be elucidated. He also recommended the student to boldly begin with the opposite side of the region, that is, the cavitation erosion. For nearly five decades, the author has expanded his research field from cavitation erosion to the whole area in the boundary region of erosion and corrosion, and made a recent notable discovery regarding the nature of erosion-corrosion. Contrary to the popular belief, erosion-corrosion in nature does not result from cooperation between erosion and corrosion; instead, it manifests from pure electrochemical corrosion, which should be classified as localized corrosion or macro-cell corrosion. This fact was proven by the author using both experimental and theoretical evidence. Experimental data showed no cooperation product between erosion and corrosion even when pure erosion and pure corrosion overlapped. Thus, it was concluded that erosion-corrosion is a pure corrosion process, rather than a cooperative process. A theoretical analysis using an Evans diagram indicated that erosion-corrosion is macro-cell corrosion that results from at least two different anodic polarization behaviors of the metal which are originated from differences in the flow conditions. This book is sparing much space on erosion-corrosion testing methods and presents case studies conducted on accidents that have occurred at actual chemical plants. These topics were the focus of the research and, simultaneously, the means for reaching the conclusions: erosion-corrosion damage can only be studied in the laboratory with the appropriate testing equipment; and, erosion-corrosion data from accidents in the field are still needed to study the mechanisms responsible for erosion-corrosion. Testing methods cannot be developed without complete clarification of the mechanisms responsible for erosion-corrosion damage. 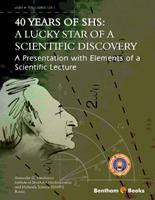 For many years, the author belonged to the chemical engineering department of Hiroshima University. One of the purposes of the chemical engineering is to support the chemical industries in the field. Therefore, the end-result of this research will not be the elucidation of the mechanism by which erosion-corrosion degrades structural materials in a chemical facility. Rather, identification of the mechanisms of erosion-corrosion will enhance the ability to predict both the locations of accidents in chemical plants and the degree of damage that might result. In addition, identification of the erosion-corrosion mechanisms will be useful for both the design and material selection of hydraulic machines and chemical plants, such as for seawater pumps and piping in nuclear power plants, and for maintenance and safety management.